It conveys the idea of an end and a beginning of life - Afterlife. 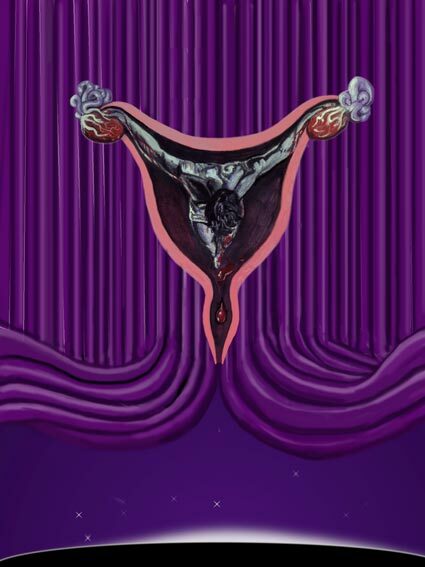 The shape of Christ´s body mirrors the shape of the uterus. Combining the ideas of life and death or re-birth. There is also a connection with the blood and the phenomenon that is life. The curtains open to reveal a new dawn and rising sun on the horizon and the beginning of another cycle.